It is an individual process. And only because your best friends`s hair is so perfectly straightened every time, it does not mean you can use her device and get the same effect. Choose the suitable for your hair brand, size and etc. Just flatiron at hand? No, it does not work like that. 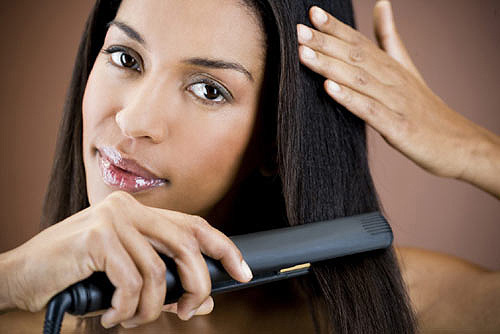 Grab a comb and use it for every single piece of hair you straighten. Divide hair into pieces with clips. Use a good mask or conditioner to prepare hair for the process. On mandatory, protect hair with some spray. Also, finish the straightening with spray to make the effect longer. Straight hair can be either with some attractive volume at the top of head, or super straight with no curls at all. 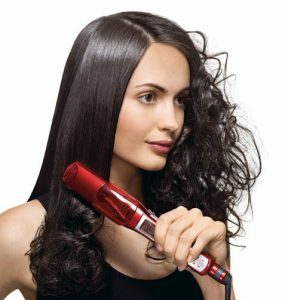 In all cases, there are different techniques for each of these straightening types so follow those you really need without mixing it with each other. Because it is too hot yet and with combing you add some “curly or unshapely” form to ends to your hair.